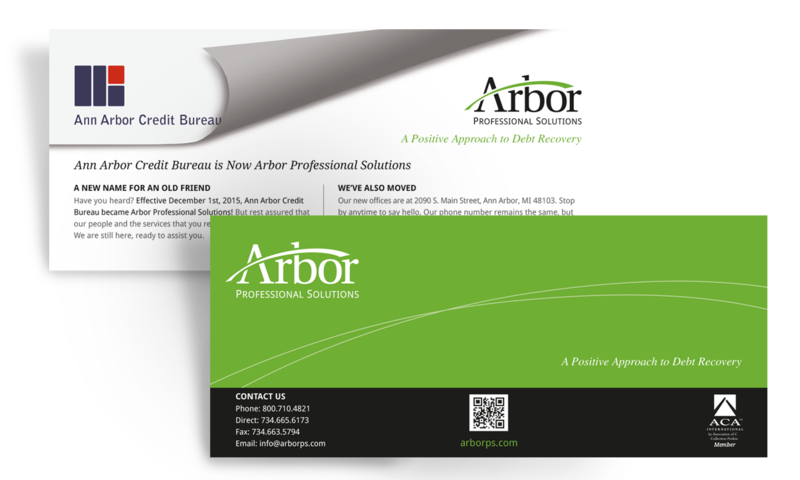 How does a 90-year-old credit bureau change its name to comply with today’s regulations and update its market presence to attract new clients, while leveraging decades of goodwill and client equity? 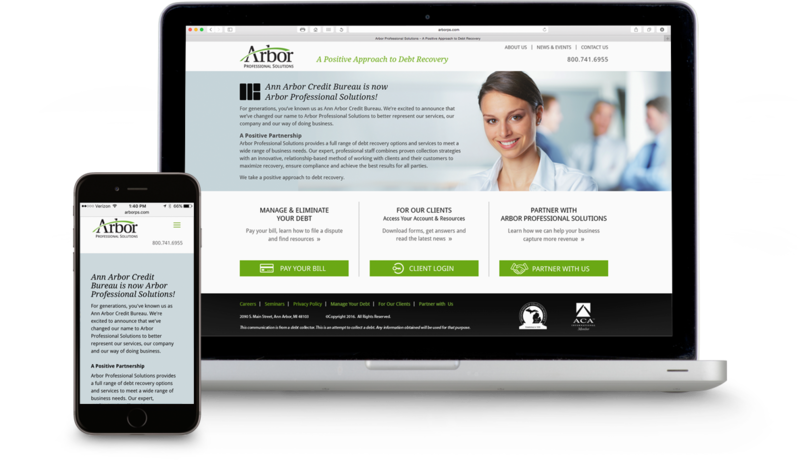 That was the challenge for Arbor Professional Solutions, formerly Ann Arbor Credit Bureau. 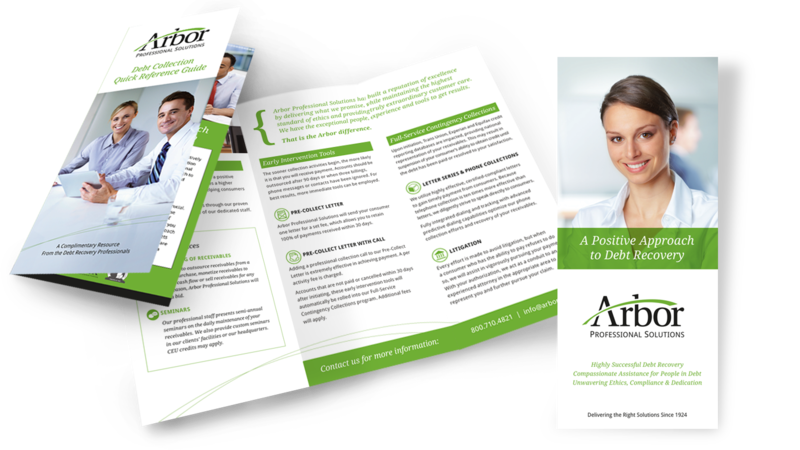 They found the answer with our team at R.J. Conlin. 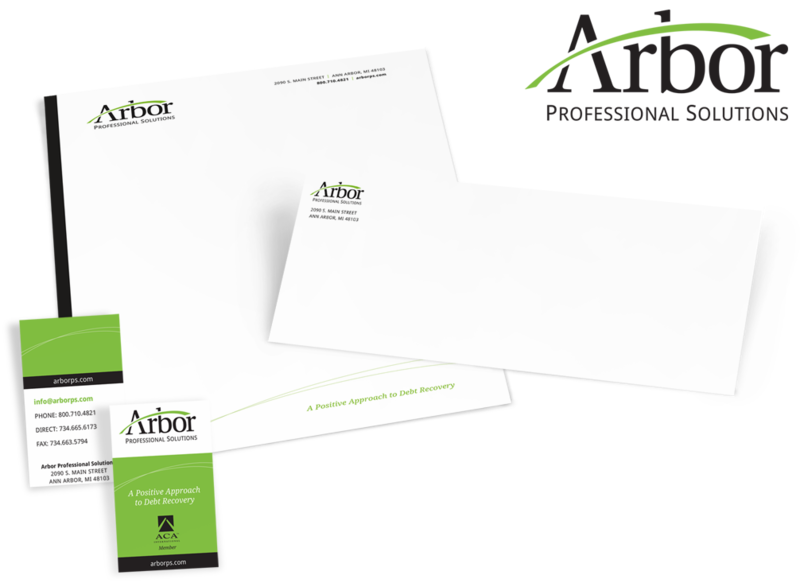 Through extensive internal and competitive research, we discovered that Arbor needed a complete marketing makeover, including brand development, a name change, an identity package, a website and collateral materials.